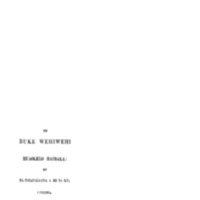 Translation of Francis Wayland's The Elements of Political Economy by William Richards (1793-1847). 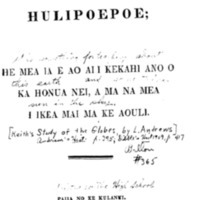 Translation of Thomas Keith's Study of the Globes by Lorrin Andres (1795-1868). 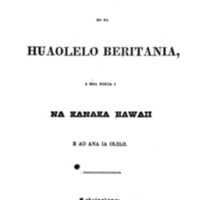 Two works issued together: the first is a translation of Ebenezar Bailey's First Lessons in Algebra by Artemas Bishop (1795-1872); the second is Lorrin Andrew's Ke Anahonua (Geometry). 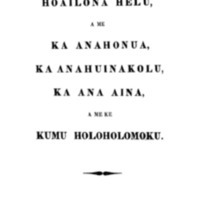 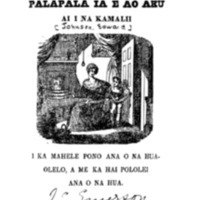 A Hawaiian language speller written by Edward Johnson. 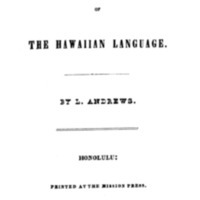 English-Hawaiian dictionary written by John Smith Emerson as an abridged translation of Webster's Abridgement. 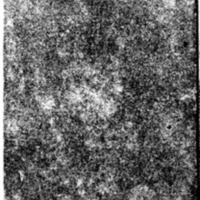 From the letter O to the end, it is written by Reverend Artemas Bishop. 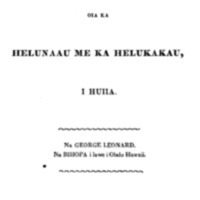 Translation of George Leonard's A Practical Treatise on Arithmetic by Artemas Bishop (1795-1872). 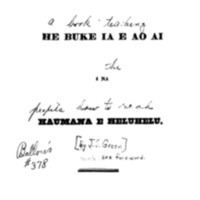 Translation of William Wilberforce Rand's Bible Dictionary by Ephraim Weston Clark (1799-1878).